Why I always follow back & you should too...steemCreated with Sketch. No, I am not trying to persuade anyone to follow me in hope of a follow back. We should change our attitude towards following people. There are too many people out there following less than 10 people, while aiming for 100+ followers. However, imagine if everyone would increase his/her followings. This would enhance our Steemit community, increase interactions as well as activity and build relationships. Instead of having a community with too many that only care about making money by building a large following. If feel like social media networks are about real connections and relations. 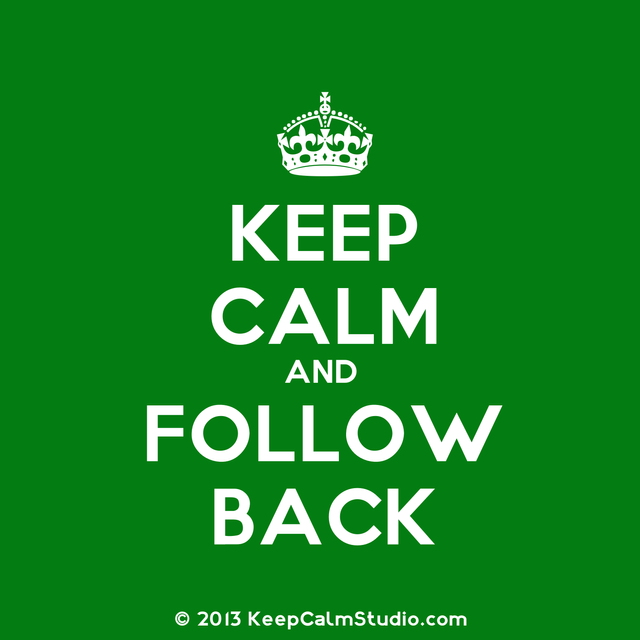 I want to get to know my followers and be part of their following. There are exceptions as e.g. spammers or people posting about topics you actually feel uncomfortable following. But in general, there is no real reason to say no? Keep being active. One step at a time, we shall be there! Thank you so much for being an awesome Partiko user! You have received a 5.93% upvote from us for your 780 Partiko Points! Together, let's change the world!